Turmeric is a very popular spice used in cooking and providing flavor and taste to many kind of recipes. Turmeric has long been used as a traditional natural herbal medicine because of its known therapeutic properties. There are numerous research conducted to confirm its healing properties. Turmeric herb can be grown throughout the year. It grows up to a height of 5-6 feet and mostly found in tropical regions of southern Asia. 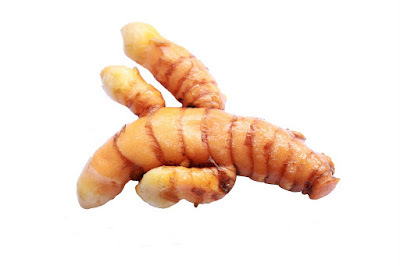 Turmeric has a strong scent and a bitter to sharp taste. India is known is well known as producer of turmeric and it is utilized in every Indian home as the primary spice in curry. Natalie Kling, a Los Angeles-based nutritionist, says she first learned about the benefits associated with turmeric while getting her degree from the Natural Healing Institute of Neuropathy. "As an anti-inflammatory, antioxidant and antiseptic, it's a very powerful plant" she said. Kling suggests it to clients for joint pain and says that whenever used as a healthy supplement, it can quickly. She advises to adding turmeric to food whenever you can and offers these easy tips. "Raw is best" she said. "Sprinkling it on vegetables or mix it into dressings is quick and effective." As turmeric is well known for its anti-inflammatory properties, therefore, it is believed to be excellent natural herb for the treatment of arthritis and other inflammatory diseases. In a recent available research of patients with arthritis rheumatoid, an evaluation between turmeric and phenylbutazone was done and people who took turmeric showed comparable improvements in shortened period of morning stiffness, lengthened walking time, and reduced joint swelling. Time magazine in July 2009 publish an article points to a study conducted by University of Arizona. Researchers discovered that when rodents were administered a material known to cause joint pain suffered less when the injections were combined with turmeric. The article also cites anecdotal proof singing the praises of turmeric for fighting a variety of pain that would otherwise be cured with over-the-counter pain medication. Dr. Andrew Weil is a well-known holistic health practitioner says that turmeric as a natural herbal medicine can reduces the carcinogen compoundsup to 40%. He also says that turmeric helps our body against melanoma and restricts the spread of cancer to other areas. A study conducted at the University of Texas shows that turmeric really helps to decelerate the spread of breast cancer cells to other areas in mice. In another lab study of human non-Hodgkin's lymphoma cells published in Biochemical Pharmacology (September 2005), University of Texas researchers revealed that turmeric inhibits the activation of NF-kappaB, a regulatory molecule that send signs to produce a slew of inflammatory substances (including TNF, COX-2 and IL-6) that promote cancer cell growth. Turmeric helps the gallbladder to secrete bile. The German Commission E, which decides which herbs can be safely and securely prescribed in Germany, has approved turmeric for digestive problems. And one double-blind, placebo-controlled research discovered that turmeric helps in minimizing the symptoms of flatulence and bloating in abdominal area. Early studies revealed that turmeric may help prevent atherosclerosis, the accumulation of plaque that can block arteries and lead to heart attack or stroke. In animal studies, an extract of turmeric reduced cholesterol levels and kept LDL "bad" cholesterol from accumulating in blood vessels. Ulcerative colitis is a serious disease of the digestive system which occurs in relapses. In one double-blind, placebo-controlled research, people who suffered from constant relapses of ulcerative colitis took either turmeric or placebo, along with conventional treatment, for six months. Those who took curcumin possessed a relapse rate much lower than those who took placebo. Research presented at a recent conference on childhood leukemia, performed in London, provides proof that eating foods spiced with turmeric could decrease the risk of developing childhood leukemia. Childhood leukemia is much lower in Asia than Western countries, which might be due to use of turmeric, has been investigated in some studies during the last 20 years by Prof. Moolky Nagabhushan from the Loyola University Medical Centre, Chicago, IL. Turmeric is also known to correct the genetic defects such as cystic fibrosis suggested by an animal study released in the Science (Apr 2004). Researchers have discovered that cystic fibrosis is triggered by the mutation in the gene that encodes for a protein so when the gene is faulty it produces an unusual protein that accumulates mucus. A study published in the Italian Journal of Biochemistry (December 2003) reviewed curcumin's role in the induction of the heme oxygenase pathway, a defensive system that, when activated in brain tissue, causes the production of the powerful antioxidant bilirubin, which helps to protect the brain against oxidative (free radical) injury. Research conducted at UCLA and released in the Journal of Biological Chemistry (December 2004), which has been proved by further research published in the Journal of Agricultural and Food Chemistry (April 2006), provides understanding into the mechanisms behind curcumin's protective effects against Alzheimer's disease.